This is so next-level. Clara sent this to us via Twitter. “on the T, one man’s recycling is another man’s treasure.” Indeed. 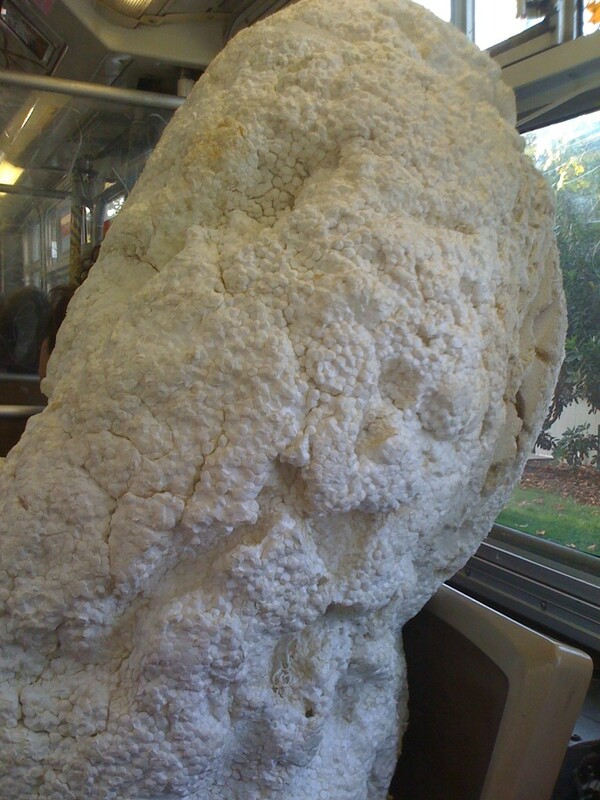 Other strange cargo spotted on Muni: trampoline, a ladder, and who could forget the GIANT STYROFOAM OMG!? Who you callin’ ‘dummy,’ dummy? The woman behind me was talking on a cellphone the entire trip (Yapper alert!) 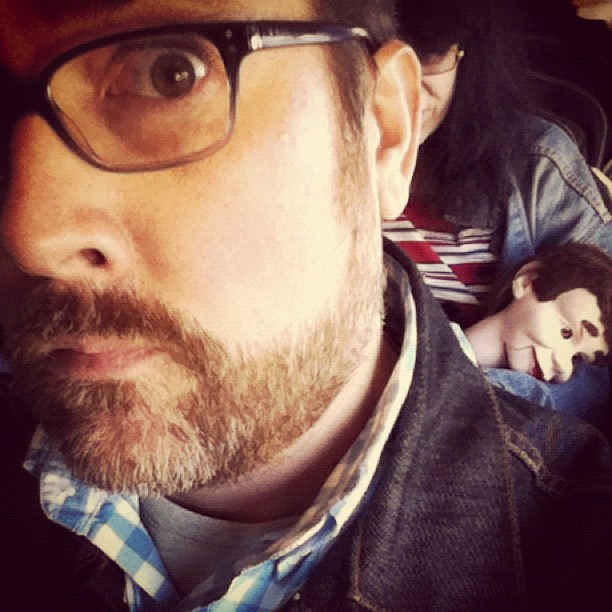 with a creepy ventriloquist’s dummy on her lap. Not only was she talking on the phone, but she occasionally was talking in what I assumed was the dummy’s voice as well. We’d have that look on our face, too, if confronted by such a tragedy. Thanks, David! 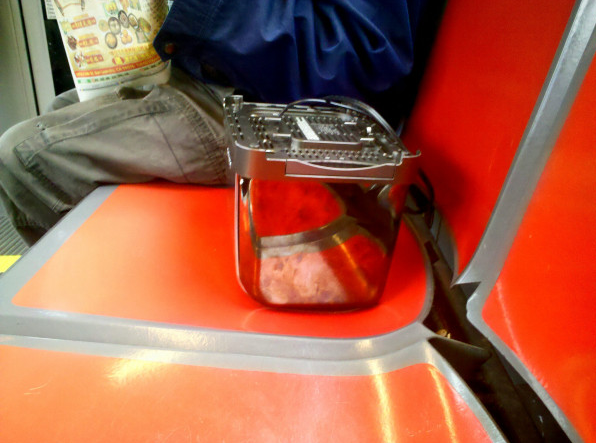 “Dude is just taking his old Brave Little Toaster-style toaster for a lil Muni ride,” says @lissaandy. File this under “Strange Muni Cargo,” along with a bar chair, Christmas tree, and a balloon circus. No biggie. What other strange cargo have you seen on the bus? We can’t get enough of them! I guess when you go on a shopping spree at Paxton Gate, you have to haul it home somehow. Photo by Marcel Cortez. 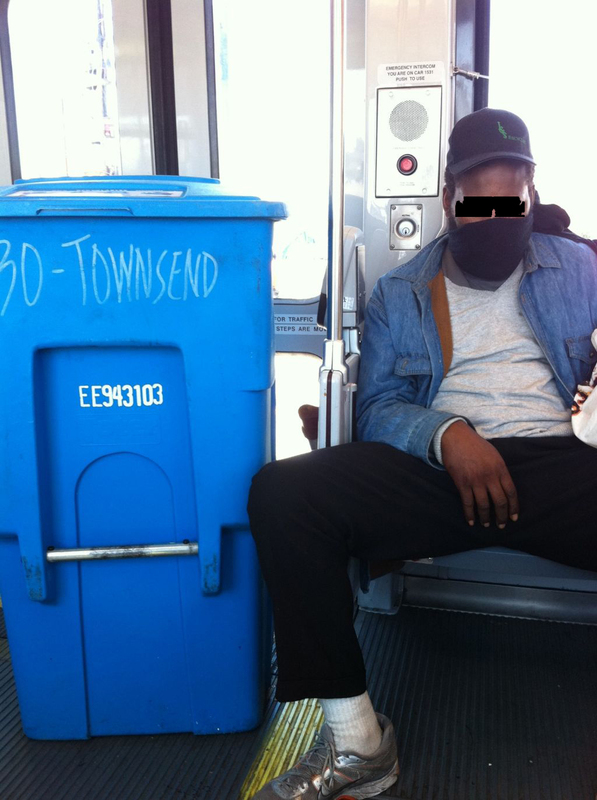 What strange and surreal things did you see on Muni today? We love this town! 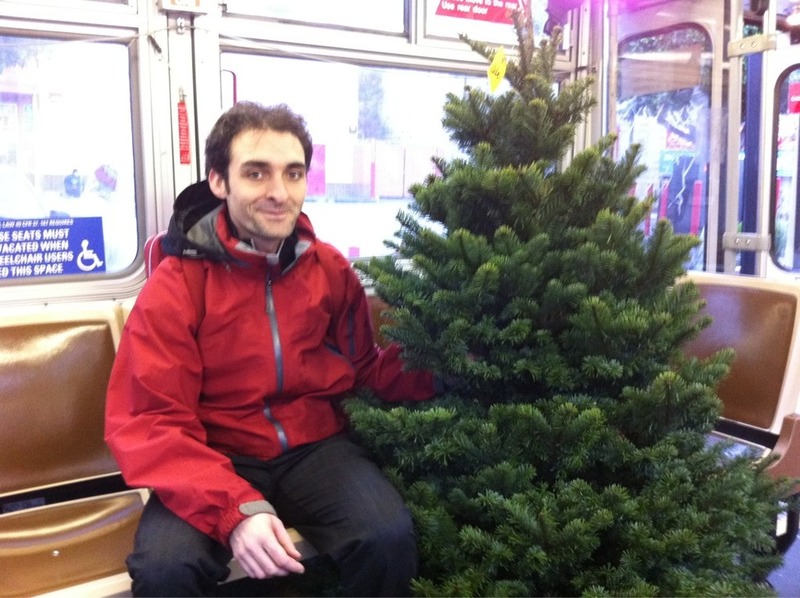 On Monday, we were made aware of at least two Christmas-tree-on-Muni sightings. The one above features attaboy carting his wares home. 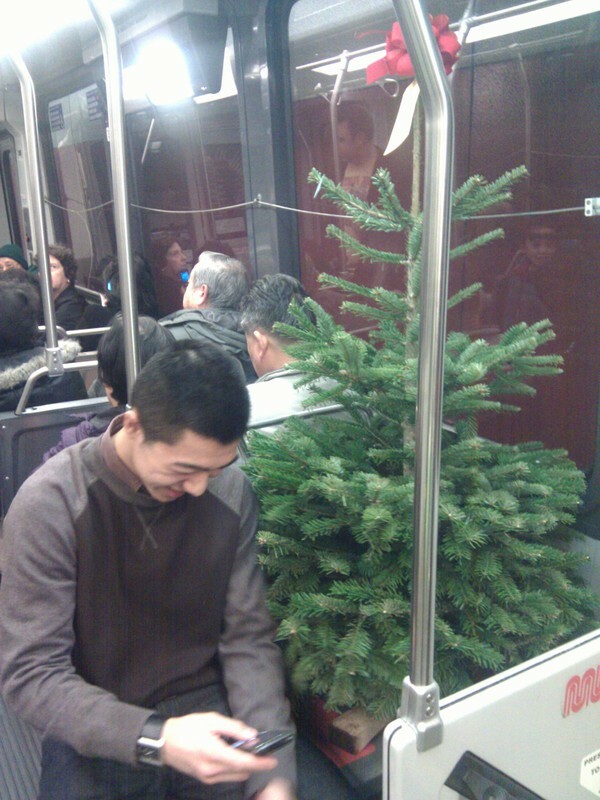 Below, belle2061 tipped us off to a fellow passenger with his evergreen cargo. Hey, they probably smell better than a lot of your fellow passengers, right?